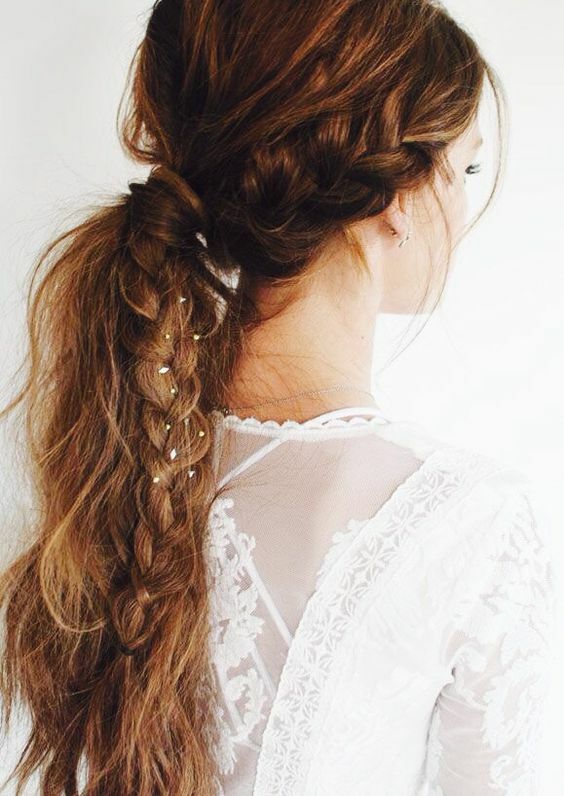 Braids became a super hot wedding trend several years ago and they were everywhere. 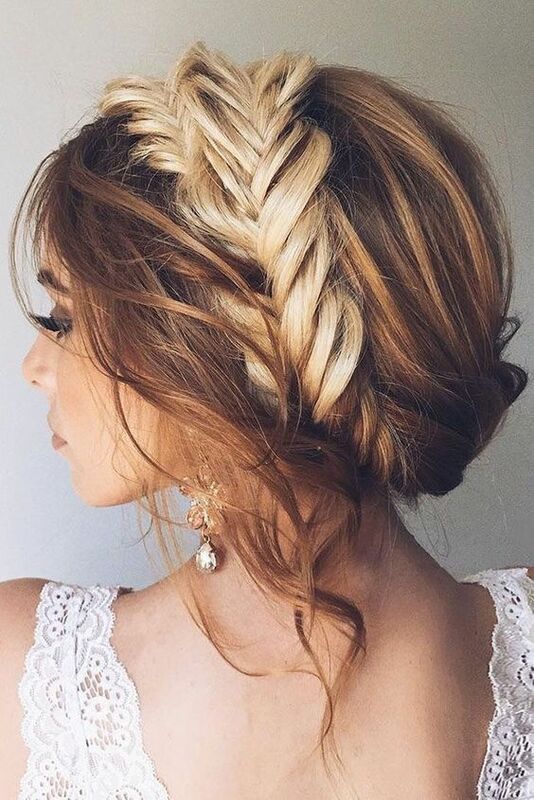 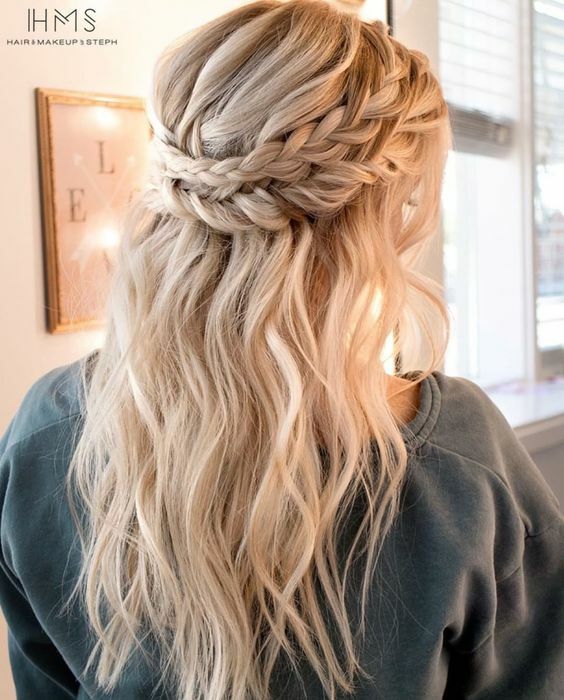 Today I can say that braids have become classics for weddings because there are many elegant options for almost any bridal style, especially for boho chic, which is number one now. 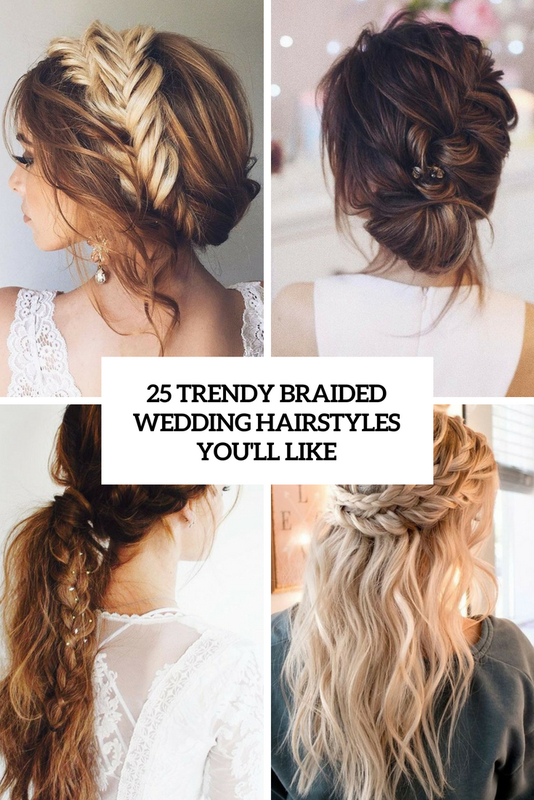 Let me share some fresh ideas of braided wedding hair, look for your inspiration here! 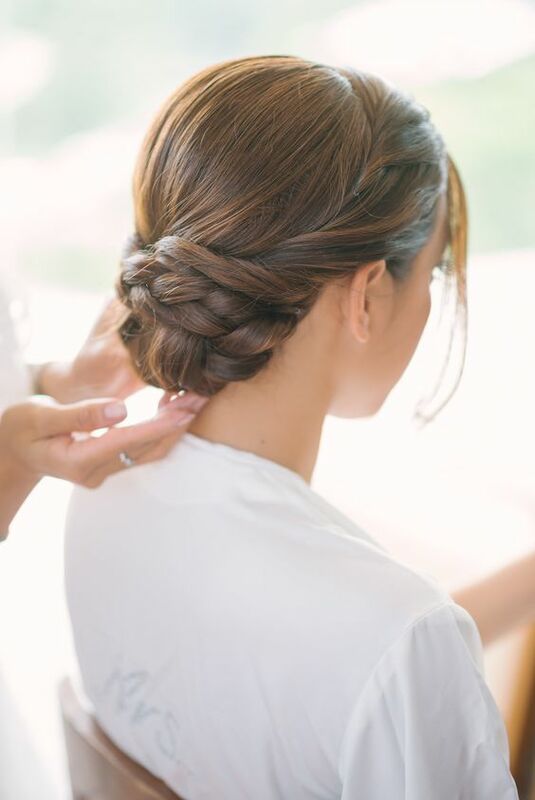 A braided updo is a very chic and cool hairstyle, which can be suitable for many bridal styles. 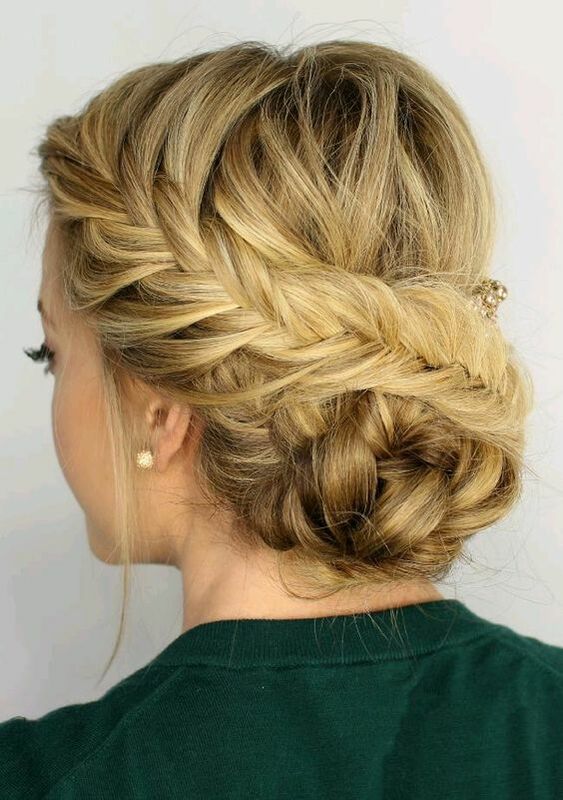 You can go for a usual or fishtail braid, try a low bun or make it more usual. 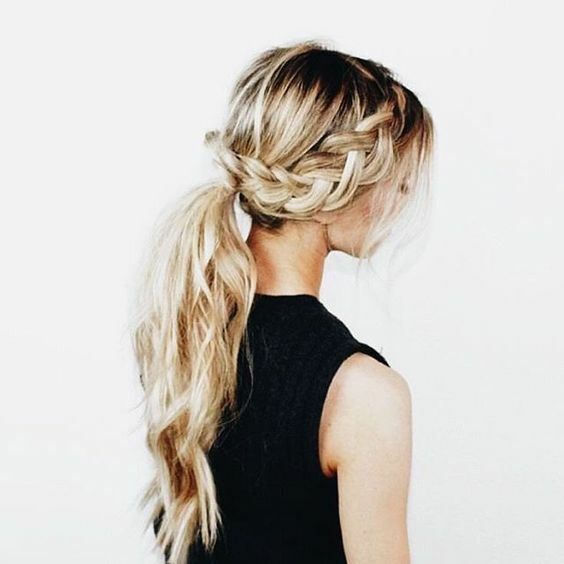 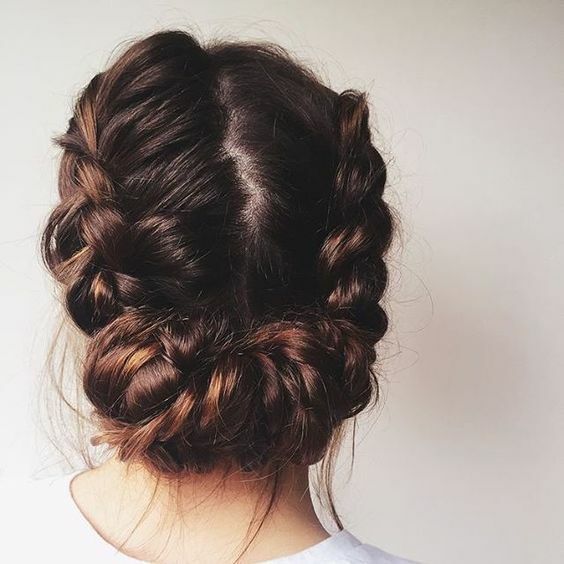 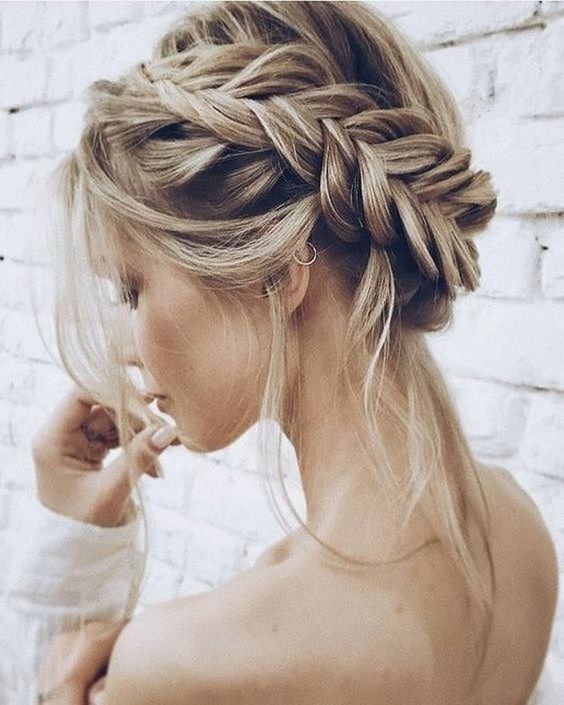 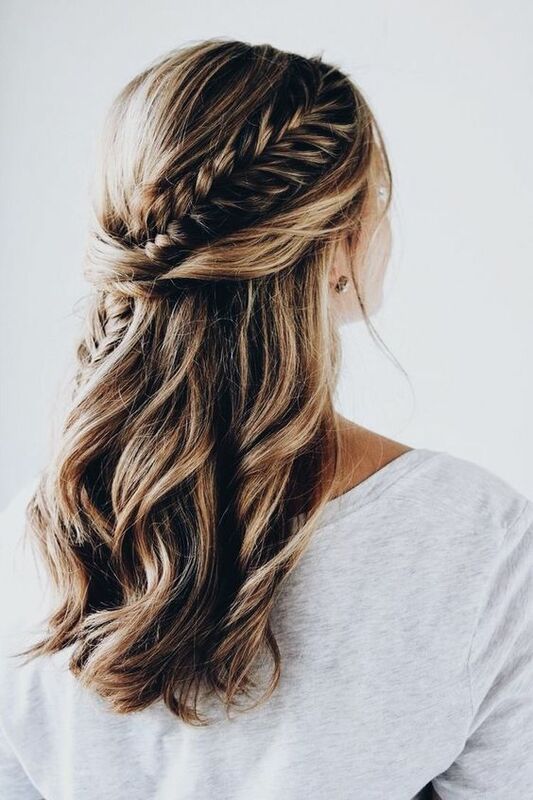 The braids can go on both side, on one side or in the center, you can try a braided halo or a double braided halo, which is a popular and cool option. 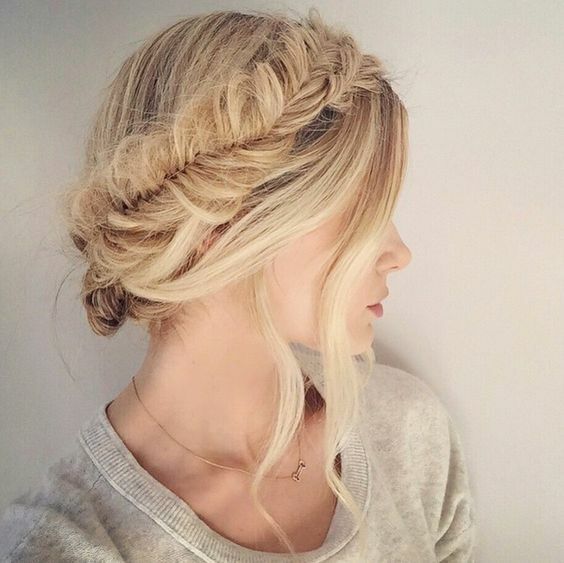 The braids can be tight or loose, which will bring additional volume to your hairstyle. 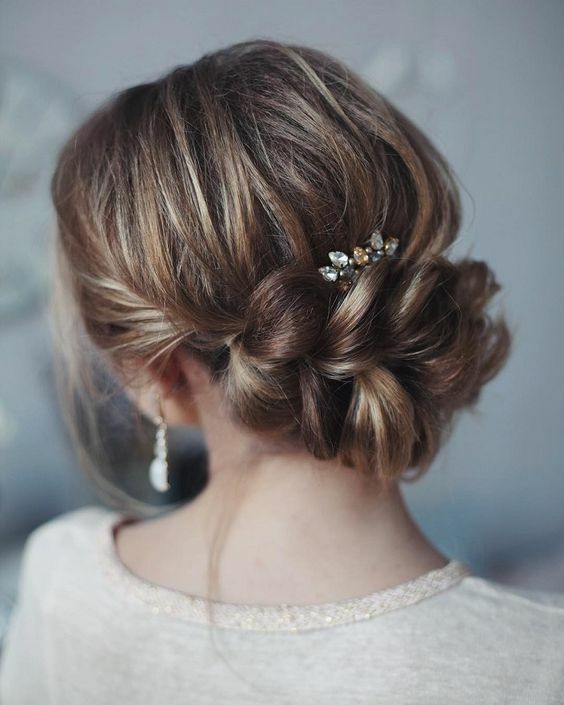 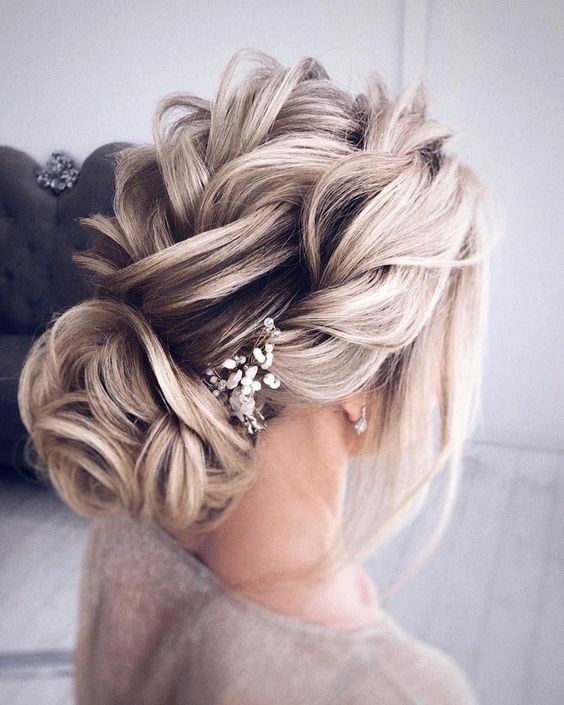 Make some locks down for a more romantic feel or go for a messy look if you are a casual bride. 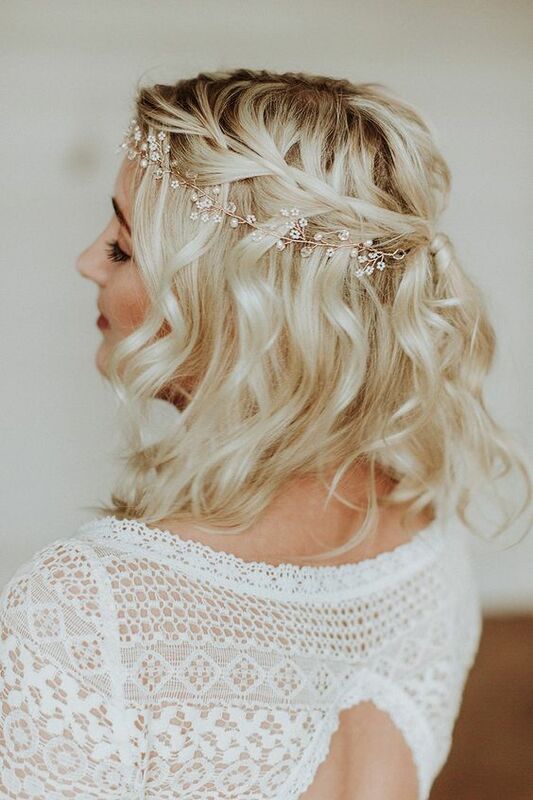 As for accessories, you may add some rhinestone hairpieces of your choice. 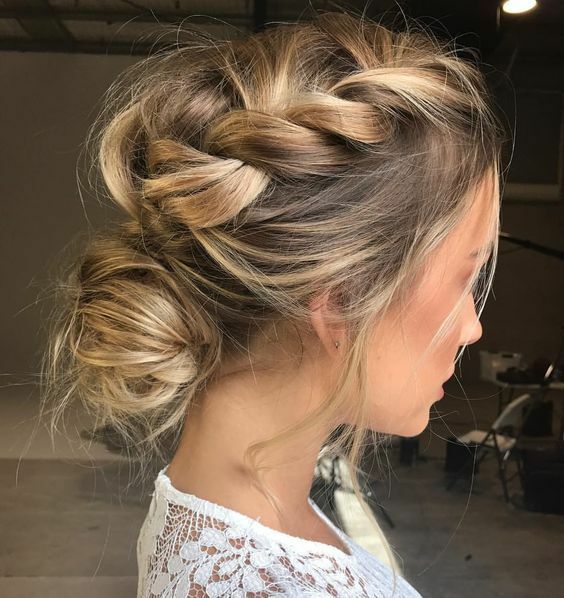 There are cool side swept braided updos and sleek updos with a braided element instead of low bun, get inspired to find your perfect updo! 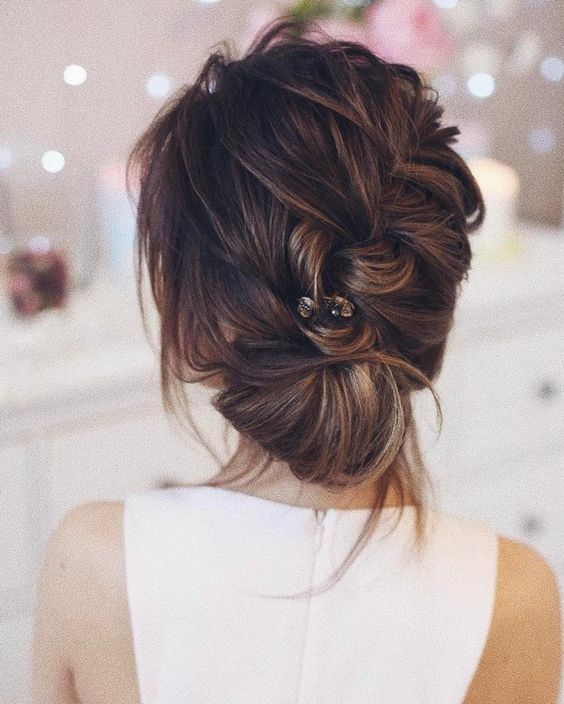 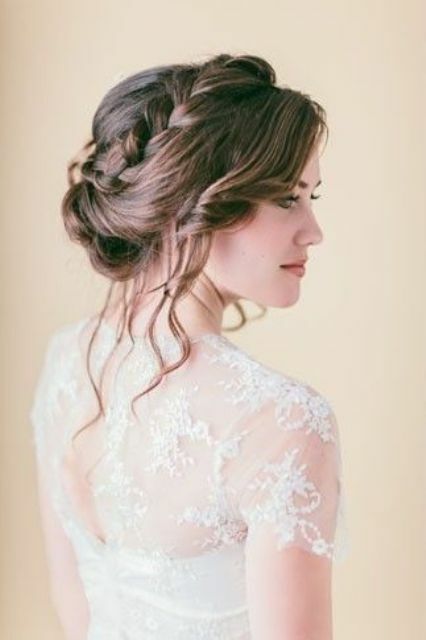 A half updo is always a more romantic option for any bride, make some locks downs – textural or wavy ones, and add a halo or usual braid above, on one side, both sides or in the center and choose the best type of braid for your look. 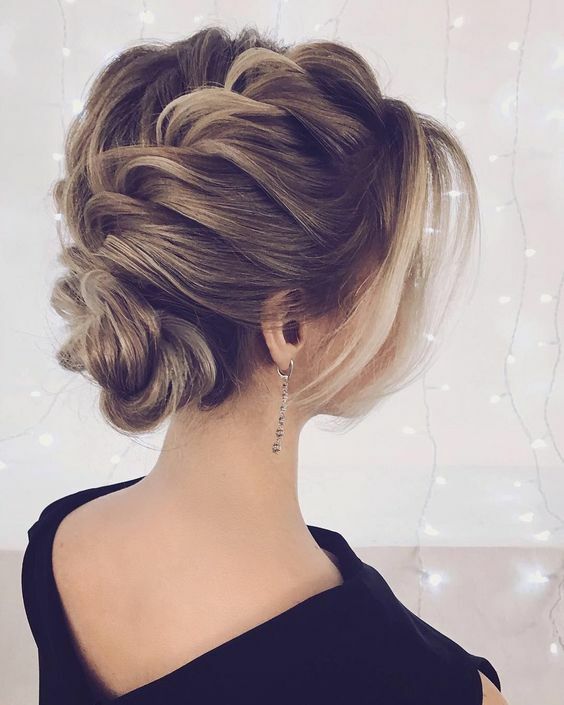 A great thing about a half updo is that it will fit both long and medium hair, while most of braided updos aren’t suitable for medium length. 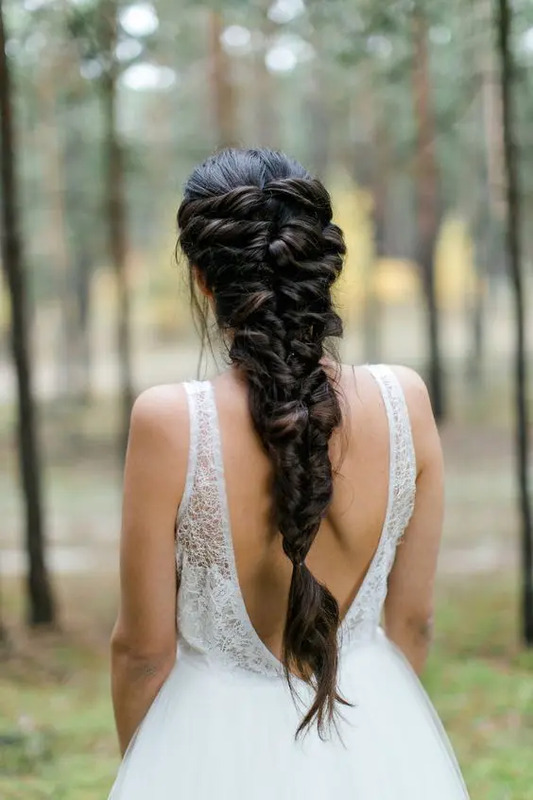 Any braid is a good idea for a boho, rustic, woodland and other bridal styles, go for texture, volume and interesting combos. 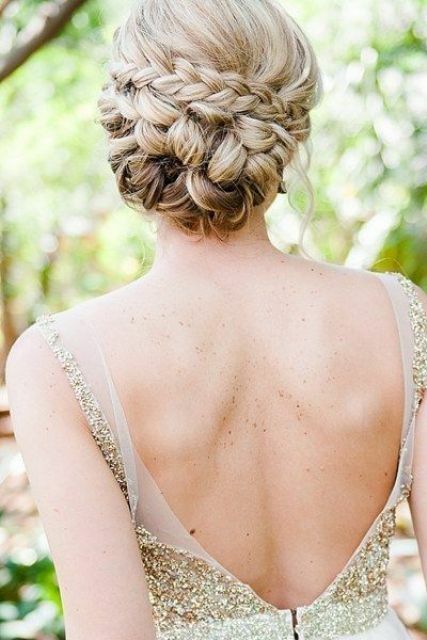 Have a look at messy and casual ponytails with braids for a modern bridal look, it’s a hot idea to try. 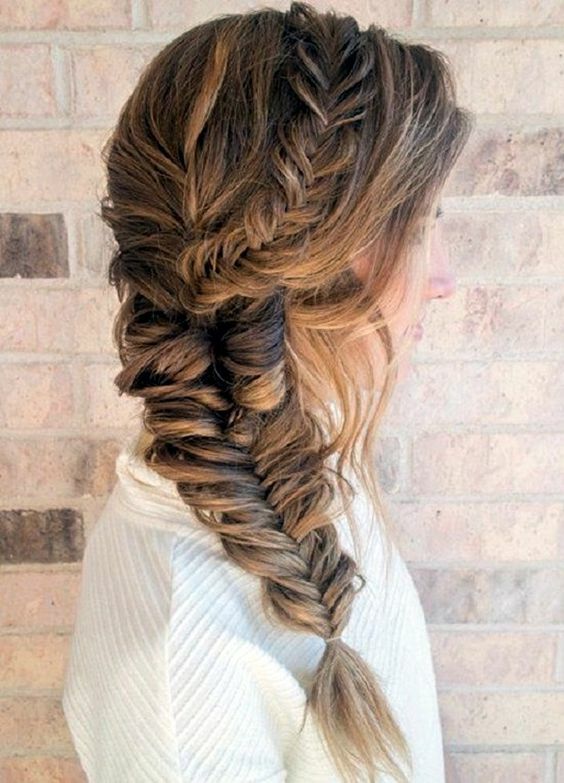 You may tuck some flowers inside the braid or go for a romantic hair vine, which is super trendy now.